How to buy the best tankless water heater, including selecting the right size, choosing an electric tankless water heater, on demand water heater, and more. A whole-house tankless water heater never runs out of hot water. 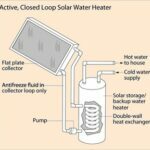 For decades, the tankless water heater has been popular in Europe and other parts of the world. Consumers in North America, however, have only tuned into the benefits of tankless water heaters for the past couple of decades. What are the benefits of a tankless water heater? A whole-house tankless water heater can reduce your water-heating bill by 24 to 34 percent if your family uses 41 gallons or less of hot water each day. If you use more hot water—you can save from 8 percent to 14 percent. In addition, a tankless water heater will provide an endless supply of hot water. As discussed in How a Tankless Water Heater Works, a whole-house tankless water heater heats water moving through the system instead of heating and storing hot water in a large tank. The familiar tank-style storage water heater is basically a large container with a heater. It stores a lot of water (typically 40 to 80 gallons), heats the water, and keeps it hot until needed. When hot water leaves the tank to serve a faucet or appliance, cold water replaces it and the cycle repeats. 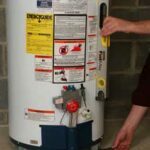 The downside of a conventional storage water heater is that it wastes considerable energy keeping water hot 24 hours a day, seven days a week, whether or not you need hot water. Instead of storing hot water, a tankless water heater circulates incoming cold water through a series of electric coils or powerful gas burners, called a “heat exchanger,” that heats up when you turn on a tap or hot-water-using appliance. When you turn off the fixture or appliance, the electric elements or burners shut off. Manufacturers make tankless water heaters in several varieties, from small, electric point-of-use models to larger gas appliances that supply the whole house. If you want to replace a storage water heater, you’ll need a whole-house tankless water heater. If you just want to provide hot water quickly and efficiently at a single fixture, such as a bathroom sink, a point-of-use water heater is the better choice. If you simply want instant hot water at the kitchen sink, a hot water dispenser is the appliance for you. All tankless water heaters don’t necessarily supply hot water instantly. The only way to guarantee super-fast hot water is to have a water heater right next to the faucet, shower, or appliance that it serves. Otherwise, hot water sits in the pipes between the water heater and the fixture, where it cools. The water at the fixture won’t be hot until hot water replaces that cold water. With a tankless water heater, you don’t empty the water heater with a tall bath because there isn’t a tank to empty. The supply of hot water can be endless. With this type of water heater, the issue isn’t capacity, it’s flow. You won’t run out of water, even with a big soaking tub, when you have a tankless water heater. A tankless water heater won’t “run out” of hot water unless the flow surpasses the water heater’s heating ability. Think of it this way: If two showers and the washing machine run at the same time, a tankless water heater can’t heat the large volume of water that is passing so quickly through it. Consequently, it will deliver lukewarm water. The solution? Buy a unit that puts out a lot of heat. Also, stagger showers and washing machine usage by a couple of minutes. Or, the more expensive option, buy two tankless water heaters. To further clarify, you can fill an oversized bathtub when you have a tankless water heater, but not when another appliance or fixture is using hot water. And, if the tub’s faucet delivers a heavy flow, you may have to slow down the water a little when filling it. Aside from staggering usage, the key to buying the best tankless water heater is sizing it appropriately. See below for more about this. 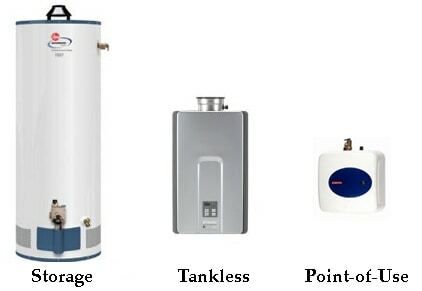 You can buy gas tankless water heaters or electric tankless water heaters. Gas is much faster and more efficient at heating water. Because of the heat output and response time required, most whole-house tankless water heaters have burners that are gas-fired (including propane or kerosene). Gas-fired tankless water heaters require venting. 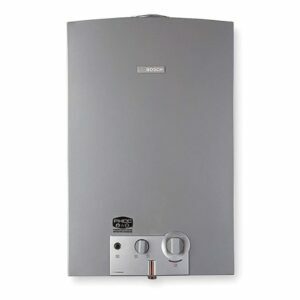 In fact, their flues generally must be larger than those required for gas storage water heaters. Some “low-nox” tankless water heaters have power vents that allow you to exhaust gases out a side wall; these are ideal for situations where running a new vent out the roof would be impractical if not impossible. Rinnai, Bosch, and other companies also make “outdoor” tankless water heaters that can be installed outside the home and therefore do not require venting (these may not be practical in extremely cold climates). Bosch natural gas whole house tankless water heater delivers 80% efficiency. Some gas models have pilot lights that consume fuel to maintain a flame.Electronic ignition models help with efficiency. Look for types that start with an intermittent ignition device (IID). One Bosch gas tankless water heater utilizes “hydro ignition,” a tiny water-powered turbine that sparks the burner. 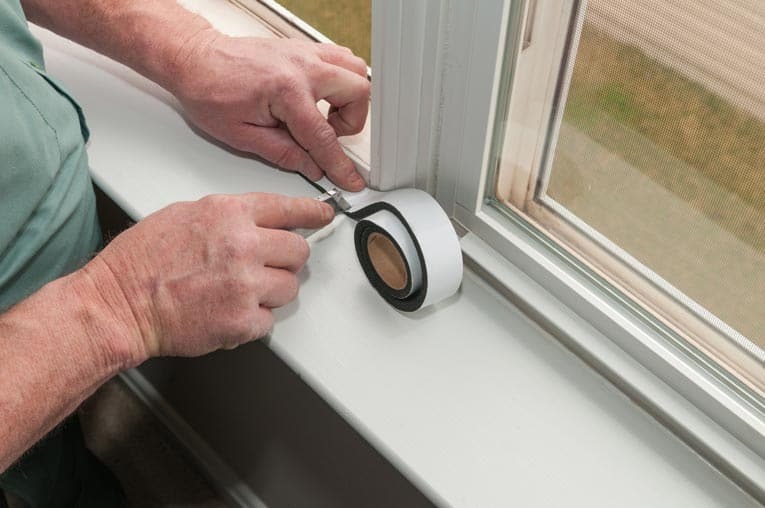 Models that don’t require a pilot light are more expensive but also more energy efficient than pilot-light models. If you need to fit the unit into a tight space, such as an attic, look for a “sealed combustion” compact tankless water heater. 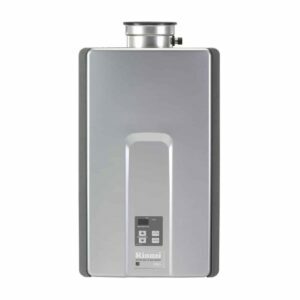 Rinnai tankless water heaters utilize a cool-to-the-touch vent system for just such situations. Most tankless water heaters have electronic components that require electrical hookup. Be sure to check out the tankless water heater’s warranty. Because they don’t have tanks that deteriorate after years of storing water, the best tankless water heaters offer long-term reliability. Warranties on the critical component—the heat exchanger—run from five to twelve years. Minerals found in water, especially hard water, eventually corrode a storage water tank. Because tankless water heaters don’t store water, they last longer than storage water heaters. Whereas conventional storage water heaters last about 10 years, tankless water heaters last 20 years or longer. 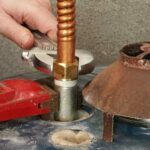 Another problem with storage water heaters is that minerals eventually get cooked onto the bottom of the tank, which reduces heating efficiency. Another plus with tankless models is that you can replace parts when they break down. A tankless water heater will provide an endless stream of hot water. When seeking the best tankless water heater for your family, think in terms of flow, not capacity. As discussed above, a tankless water heater doesn’t run out of hot water like a storage water heater can. But it may not heat water fast enough to serve multiple fixtures at once. A tankless water heater is given BTU (British Thermal Unit) input and efficiency ratings. These determine its flow rate, expressed in gallons per minute (GPM). One BTU is equal to the amount of energy required to raise the temperature of 1 pound of water 1 degree F. The higher a water heater’s BTU rating, the higher the water heater’s flow rate. Under normal circumstances, it takes about 31,000 BTUs to deliver 1.2 GPM or 190,000 BTUs to deliver 5.7 GPM of hot water. If you live in a cold climate, where the incoming water is very cold, the unit will require more heat to bring the water up to temperature. Flow rates vary from about 1.2 to 6 GPM. Point-of-use models, such as those that provide hot water to a single bathroom sink, are rated 1.2 GPM. A 2.6-GPM tankless water heater will handle one shower at a time. A 4-GPM tankless water heater one shower and one sink, and a 6-GPM two showers. 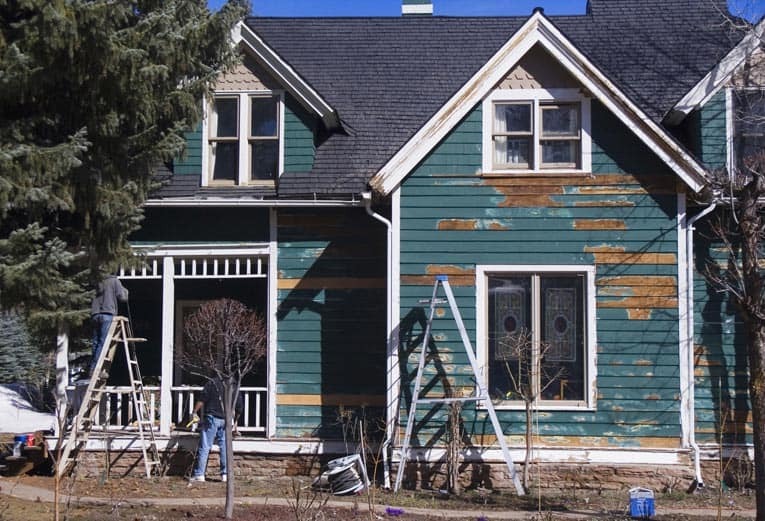 Homeowners who are concerned about energy savings also need to pay attention to a unit’s efficiency ratings. These ratings, which range from about 78 percent to the best tankless water heaters at 87 percent. They indicate how much of the fuel is converted to heat by the appliance—the higher the better. You can shop for tankless water heaters online at Amazon.com.